The WFEO-UN Relations Committee (WURC) was created in September 2011 with the mission of acting as the WFEO interface with different UN agencies as well as intergovernmental organizations requiring engineering content, systems, methodologies and analyses. Until the creation of this Committee, the interface with the United Nations Commission on Sustainable Development (UNCSD) and the Economic and Social Council (ECOSOC) was carried out by the WFEO Energy Committee. It involved the participation of WFEO at the UNCSD CSD-14 to CSD-19 meetings. WURC’s main objective is to put the Engineering contribution at the forefront of the Major Group’s international efforts towards fulfilling feasible programs and measures with a focus on sustainable development, climate change, environmental issues, and disaster risk reduction. The Committee concentrates its activities on actions developed within ECOSOC, UNCSD, UNEP, UNISDR, UNFCCC, UNDP, UNESCO, WMO, OECD, UNISDR and the World Bank. WURC activities include those related to the Rio+20 Conference and Post Rio+20. The Chair of this Committee acts as WFEO liaison with UNCSD and ECOSOC and leads the WFEO representation at the Scientific and Technological Communities Major Group that takes part in these UN bodies. 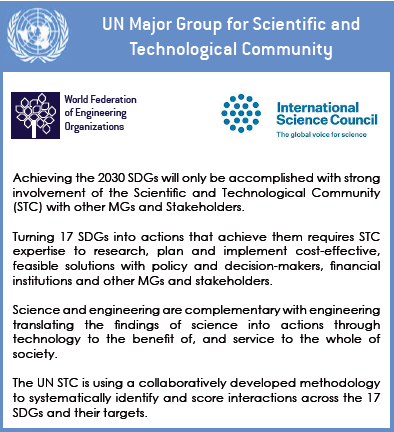 WURC represents the global engineering community at the UN through the Scientific and Technological Community Major Group (S&TMG). This Major Group includes WFEO, and the International Science Council. Since its inception, UNEP had a special relationship with civil society in tackling environmental issues. The Stockholm Conference on Human Environment, which led to the creation of UNEP in 1972, owed much to the enthusiasm, dedication and commitment of civil society. Many multilateral environmental agreements – Basel Convention, Montreal Protocol, Biodiversity and Climate Change Conventions, among others – were developed thanks to the lobbying efforts of civil society. One of the fundamental prerequisites for the achievement of sustainable development is broad public participation in decision-making. Especially in the context of environment and development, the need for new forms of participation has emerged. 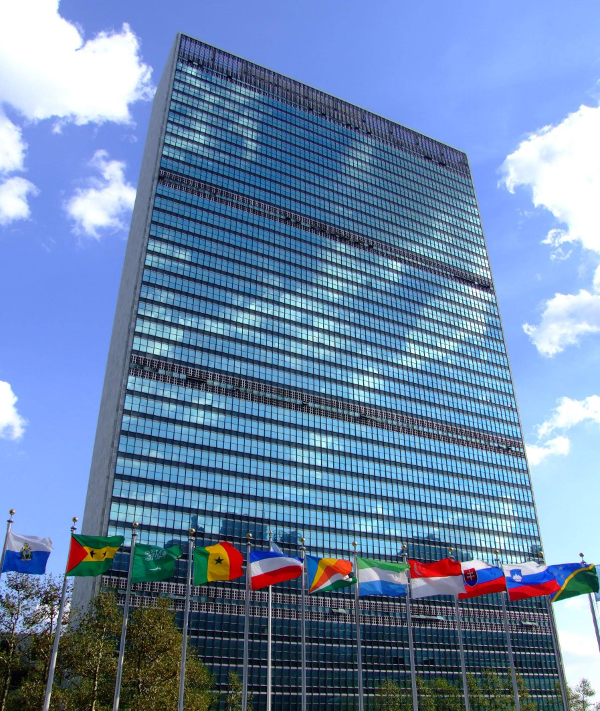 At the United Nations Conference on Environment and Development (UNCED), better known as the “Earth Summit” in 1992, Governments adopted Agenda 21, an action plan to achieve sustainable development. Agenda 21 defines the nine ‘Major Groups’ and in chapter 23 recognizes the important role of civil society and the need to strengthen the role of Major Groups. WURC participation consists of interacting with the UN as a member of the Scientific and technological Major Group (S&TMG) by responding to specific requests for input in writing and through personal representation at meeting such as the high-level political forum (HLPF) on sustainable development is the main United Nations platform on sustainable development. The first meeting of the HLPF was in September 2013. WFEO represented the S&TMG at that meeting and held the S&T seat at the meeting. WURC continues participating and was represented at the 30 June to 9 July 2014, 26 June to 8 July 2015, 11-20 July 2016 and 10-19 July 2017 meetings at the UN. WURC shared the seat at the HLPF with ICSU and ISSC. The Chair of WURC is a member of the steering committee for the UN High Level Political Forum (HLPF) which meets at least monthly. The HLPF meets annually and is reviewing annually the progress on the UN SDGs through 2030. A history of the activities of the Energy Committee interaction with the UN prior to WURC is presented in the following: History of Activities by Energy Committee Prior to WURC Activities.